There’s nothing quite like relaxing in a warm bath after a hard day. 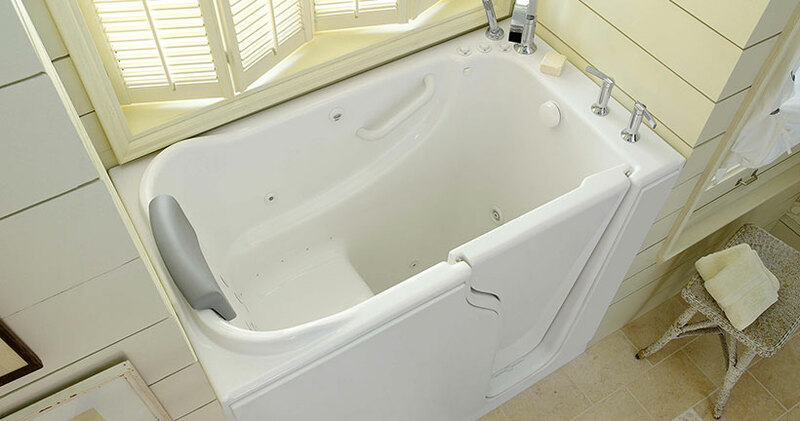 However, traditional bathtubs can cause difficulties, especially for aging seniors and people with mobility issues. 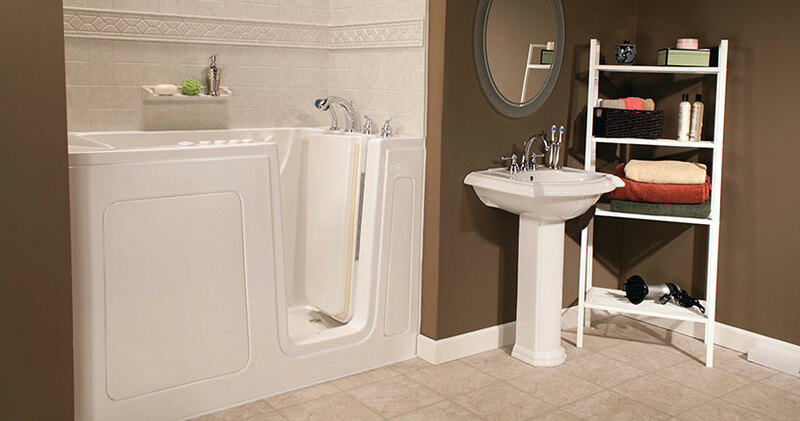 If you’re worried about bathroom safety and accessibility, walk-in bathtubs from Watters Plumbing are your bathtub solution! These walk-in baths have doors and seating, making them safe and easy to use. You don’t ever have to stress over the dangers of getting in and out of the bathtub again. Less strain on the body. 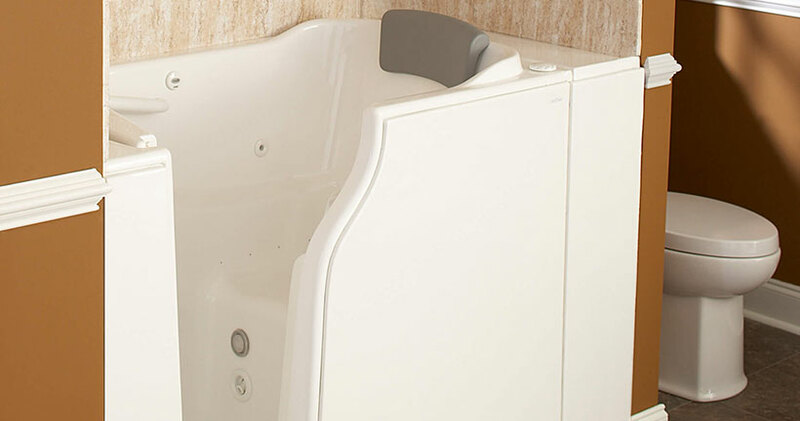 For aging seniors and people with injuries and mobility injures, lowing in and out of the tub can be an incredibly painful and uncomfortable experience. Walk-in baths minimize strain and stress on your joints and muscles so you can actually enjoy bathing again. Relaxation. The warm water and powerful jets on your walk-in bath make for an incredibly relaxing bathing experience that you just don’t get with a shower. Hydrotherapy has also been shown to reduce aches, pains, and discomfort. High Quality. Our walk-in tubs are made with the thickest material in the industry and built to withstand the wear and tear of daily use. Rest assured, you’re getting a top-of-the-line walk-in bath that will meet your needs for years to come. Low maintenance. No one wants to bathe in a dirty tub. The non-porous material used on our walk-in bathtubs helps prevent against buildup of dirt, grime, mold, and mildew. That means you can spend less time cleaning your new walk-in tub and more time relaxing in it. Good investment. A walk-in-tub is an investment in your health and home that will pay off for years to come. With increased safety, your walk-in tub may save you on potential costly medical bills. It can also increase the overall value of your home. We offer one of the best warranties in the industry, including a 5 year warranty on the shell of the tub, door, and seal, and 2 years on the other walk-in tub components. The Good Housekeeping seal of approval also gives your walk-in tub an extra level of warranty protection. When it comes to picking a walk-in bathtub, there are a variety of sizes, colors, and shapes to meet your design needs and budget. Thanks to our partnership with Bath Planet, Watters Plumbing offers one of the biggest selection of walk-in baths and bathroom remodeling products in the Fox Cities area, including a huge selection of bathtub seats, grab bars, handheld shower heads, and other bathroom accessories that can make your bathing experience safer and more enjoyable. 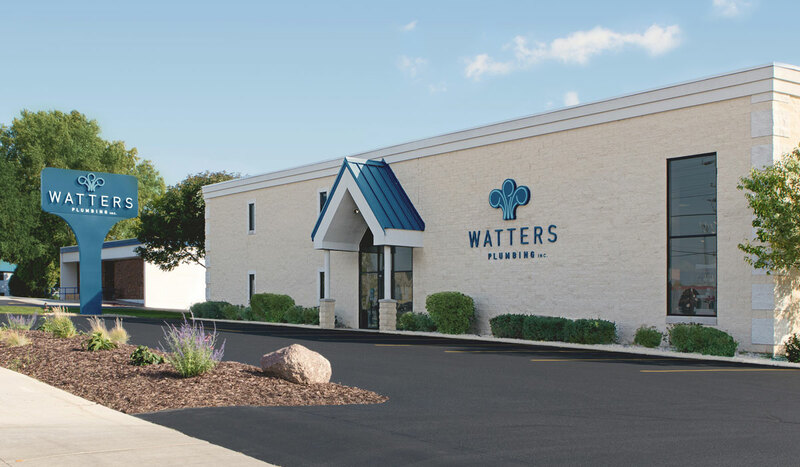 If you’re considering a walk-in tub or bathroom remodeling project in Appleton, Green Bay, Oshkosh, Fond du Lac, or the surrounding areas, Watters Plumbing is the name you can trust. Be sure to stop by our showroom to see various walk-in bath models in person and discuss your options with one of our walk-in bathtub experts.